What has emerged from beneath the fields of Liaoning (and parts of neighboring provinces) is, however, bigger than dinosaurs: A couple of decades of digging have yielded two ancient worlds preserved in miraculously complete detail. The first, called the Yanliao Biota, is from 160 million years ago, in the late Jurassic period. The second, called the Jehol Biota, is early Cretaceous, from 131 to 120 million years ago. 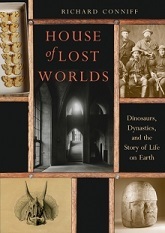 The Jehol is more famous, at least among paleontologists, and far more diverse. Among the ancient biota—or plant and animal life—found so far: Four turtle species, eight amphibians, 15 fishes, 17 mammals, 24 of the winged reptiles called pterosaurs, and no fewer than 53 ancient bird species, the latter shedding dramatic new light on the dinosaur origin of birds and on the evolution of feathers and flight. That’s in addition to some of the earliest flowering plants, plus assorted pines, cypresses, and gingko trees, algae, mosses and ferns, snails, clams, crustaceans, insects, spiders, and almost endlessly onward. It’s a measure of this diversity that, in addition to its other displays, the new museum in Sihetun will house 26 different specimens—from fish to a parrot-faced dinosaur called Psittacosaurus–all partly excavated but still embedded in the hillside where they were originally discovered. Here’s another measure of that diversity: Liaoning already has at least ten other fossil museums to celebrate this paleontological bonanza, some with important collections, others mainly products of local boosterism, or bureaucratic career-building. There’s typically lots of money for new buildings, much less for acquiring collections, and none at all, at least in the provinces, for scientific staff to make sense of the collections. So many of the best specimens also turn up in Beijing, or at the Shandong Tianyu Nature Museum seven hours south of the capital, described by one knowledgeable paleontologist as “the best place to see Liaoning fossils” and ranked by Guinness World Records as the largest dinosaur museum on Earth. At first glance, the fossils of Liaoning might not wow visitors whose idea of paleontology is limited to massive dinosaur reconstructions at other natural history museums. 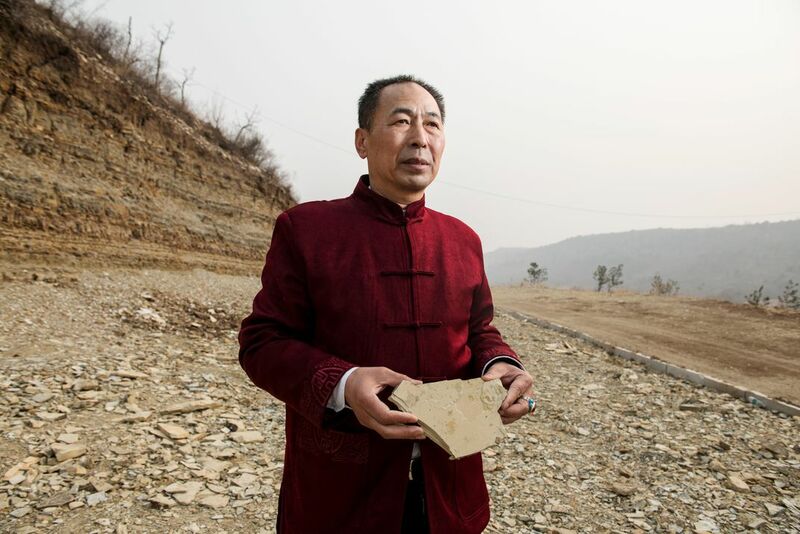 What Liaoning typically produces are slabs of stone, not—as is common in the American West–a jigsaw puzzle of disarticulated bones suitable for piecing together dramatic reconstructions. When I first encountered these slabs at the Beijing Museum of Natural History, each one lay flat in a glass display case, too high off the ground for children to see, and often obscured, for adults, by lighting ingeniously positioned in precisely the wrong spot. Then I looked more closely: The backgrounds of the slabs, in mottled shades of beige, brown, and ochre, were like old monochrome watercolors, or like a landscape scroll painted in the Tang Dynasty. The preserved fossils stood out against this background like bold strokes of calligraphy, and they were stunningly intact. “It looks like somebody’s chicken dinner.” a friend remarked, when I showed him a photo of one such fossilized bird. It looked, in truth, as if something had swatted the bird out of the sky and instantly entombed it in rock, which is more or less what happened, over and over, to vast numbers of such creatures, across tens of millions of years. One chilly December morning I woke up in the city of Chaoyang and watched from my hotel window as the mist rose off a wide bend in the Daling river and the rising sun lit up the mountains on either side. Chaoyang is said to have gotten its name from an old poem about a mythological bird singing to the rising sun. It’s known today as a city for fossils, and some of its most celebrated inhabitants are extinct birds and other ancient creatures. In the Mesozoic era, northeastern China was mostly forest and lake country, with a temperate climate. But it was prone to ferocious volcanic eruptions spewing deadly gases across the landscape. Lakebed mud and volcanic ash quickly entombed victims without the oxygen necessary for decomposition, and these fine-grained sediments preserved not just bones, but feathers, hair, skin tissue, organs, and even stomach contents. The Chaoyang native Microraptor, for instance, is a small, four-winged dinosaur, a tree-dwelling glider built for short predatory plunges from branch to branch. Researchers examining one specimen recently found evidence in its abdomen that its last meal was a bird swallowed whole. (They also identified the bird.) A specimen of a mammal called Repenomamus, resembling a modern bulldog, turned out to have eaten a small dinosaur. 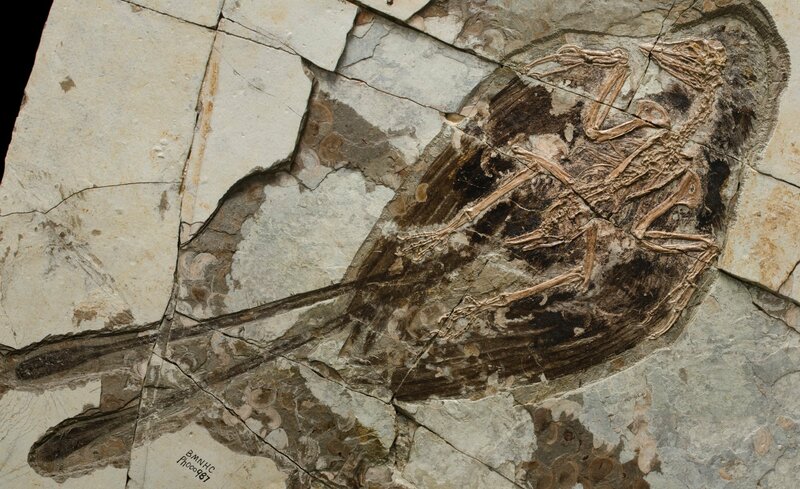 For paleontologists, the value of Liaoning fossils lies not just in the extraordinarily preserved details, but also in the timing: The Jehol has opened a window on the moment when birds broke away from other dinosaurs and evolved new forms of flight and ways of feeding, filling the world with new species. 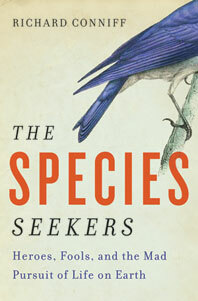 “These spectacular fossils have radically transformed our understanding of the lives of birds,” from the base of the avian family tree on up nearly to the origin of modern birds, Luis Chiappe and Meng Qingjin write in the 2016 book Birds of Stone. “Indeed, these discoveries have detailed one of the most astounding evolutionary transitions in the history of life …” including most of the digestive, respiratory, skeletal, and plumage adaptions needed to take the bird line from big, scary meat-eating dinosaurs to something like a modern pigeon or hummingbird. Moreover, they detail this transition in abundance. For instance, specimens of Confuciusornis, the oldest known bird to have evolved a modern beak, number in the thousands. By contrast, Archaeopteryx, the 150-million-year-old primitive bird first described in 1861 has been both revered and debated ever since as critical evidence for the evolution of birds from reptiles. But it’s known from just a dozen fossils, all found near Solnhofen, Germany. 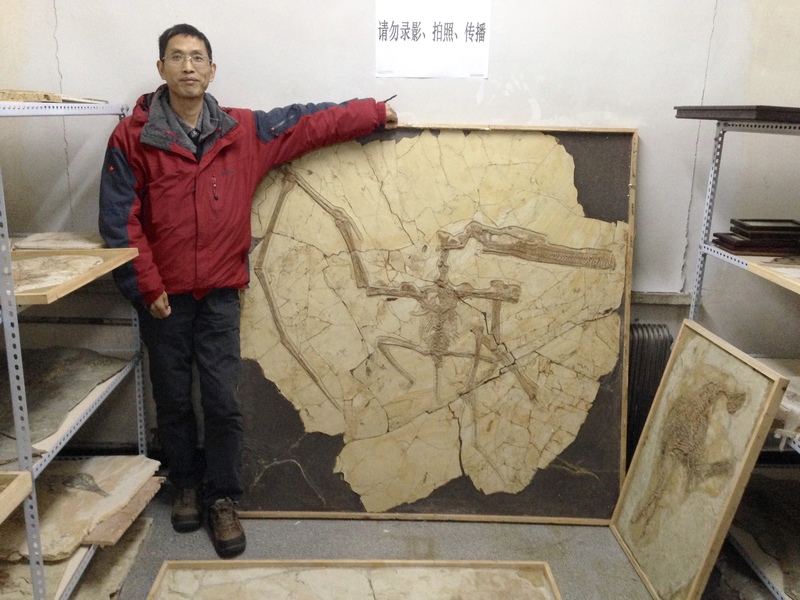 But the way fossils get collected in Liaoning also closes off research possibilities. Scientifically managed excavations were never common there, and they are now on the decrease. That’s partly because even the most prominent Chinese paleontologists lack adequate funding. But they say it’s also because it has become too difficult to deal with provincial bureaucrats, who may be hoping to capitalize on the fossil trade themselves. Instead, an army of untrained farmers do much of the digging illegally. They focus on rare and wonderful fossils, which grateful paleontologists rush to describe. But in the process, the farmers typically destroy the excavation site, without having recorded such basic scientific data as the exact location of a dig and the depth, or stratigraphic layer, at which they found a particular specimen. Unspectacular invertebrate fossils, which could provide clues to the date of a specimen, instead get cast aside as worthless. As a result, professional paleontologists may be able to measure and describe hundreds of different Confuciusornis excavated by farmers from the Jehol Biota. But they have no way to determine whether individual specimens lived side by side or millions of years apart, says Luis Chiappe, director of the Dinosaur Institute at the Los Angeles Museum of Natural History. That makes it impossible to track the evolution of different traits—for instance, that toothless modern bird beak—over time. Forgery is also a routine challenge. Late one afternoon in Chaoyang, I visited a darkened, minimally heated apartment to find fossils–the kind Western collectors would gladly kill for–stacked on every available surface. On the coffee table, next to some vitamin pills and a water bottle was a 160-million-year-old Anchiornis, its dinosaur tail and its plumy smudge of feathers preserved in exquisite detail. Nearby, the twin halves of a split fossil lay side by side, and a fish now seemed to be perpetually swimming toward itself. A child’s sparkle-painted pink bicycle stood on the balcony, and it occurred to me that the only way its owner could get it to the front door would be by wheeling it through a treasure house of perfectly preserved life forms from scores of million of years in the past. The apartment belonged to the child’s father, a museum director, who was holding the specimens in readiness for the new museum at Sihetun. Junchang Lü, a paleontologist visiting from the Chinese Academy of Geological Sciences, picked up a specimen from the floor and, pointing to different parts of the anatomy, said, “This part is real, this part is not.” To me, the difference was indiscernible, but to Lü’s eye, it leapt out: “I think someone went to find another specimen, cut a groove,” and cemented in a suitable looking wing bone. The museum, he said, would have a preparator remove the fake parts and preserve what’s authentic for study, or display. Other museums are less fussy. Chiappe has estimated that 50 percent of the specimens in regional museums have been “enhanced” in some fashion. “It’s just a fact,” adds Jingmai O’Connor, “that most of the people buying these specimens are not scientists, or they are scientists with quotation marks. I’m constantly being shown a specimen by someone who says, ‘You have to describe this. This is a Jeholornis with a weird furcula’”—that is, a wishbone—“and it’s actually a Jeholornis with a Sapeornis furcula.” In the early days, forgers actually painted feathers on some specimens, she adds. “You’d do the water test and the feathers would come right off. Then they switched to inks that aren’t water-soluble.” Researchers also rely on ultraviolet light to reveal faked sections, which reflect the light differently from authentic sections of the same slab. But fraud is hardly new to the discovery of fossils. 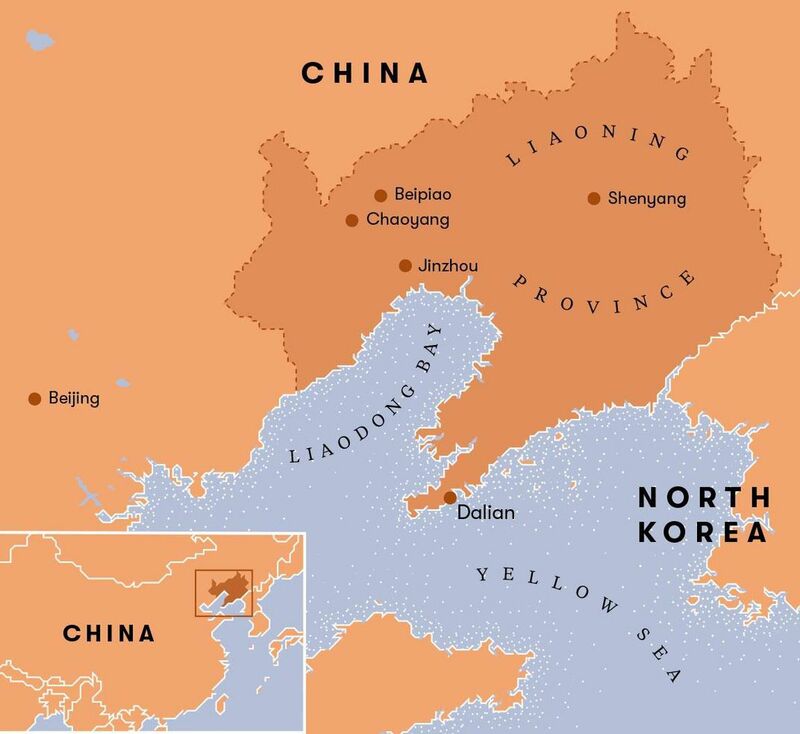 What’s more important about Liaoning Province is the genuine fossil wealth being revealed there. One morning in the basement of Beijing’s Institute of Vertebrate Paleontology and Paleoanthropology, I watched the people who prepare fossils at work. A young man stared through the dual lenses of a microscope as he worked an air-pressure tool along the length of a wingbone. The needle-pointed tip whined, and flecks of stone flew out to the sides, gradually freeing bone from matrix. Nearby a woman at another microscope used an old credit card to apply a tiny drop of 502 superglue to a tiny break in a fossil, then went back to work with a needle-like pick in one hand and an air pump like an atomizer in the other. Eight preparators were working at that moment at different fossils. It was an assembly line, dedicated to opening old tombs and bringing whole empires of unimaginably strange and beautiful creatures almost back to life. 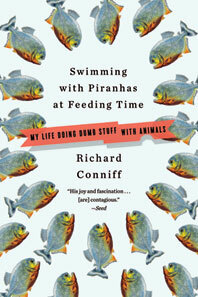 Richard Conniff is the author of “The Species Seekers: Heroes, Fools, and the Mad Pursuit of Life on Earth,” and other books. This entry was posted on April 26, 2018 at 7:26 am	and is filed under Evolution, New Species Discoveries. Tagged: birds, dinosaurs, fossils, Liaoning, pterosaurs. You can follow any responses to this entry through the RSS 2.0 feed. You can leave a response, or trackback from your own site. Fascinating! Thank you for the excellent article, interesting and informative! This is the absolute, hands down, most remarkable blog post I have come across today. What an INCREDIBLE career you have. Thank you so much for taking the time to document this part of the world that I honestly, had no clue existed whatsoever! 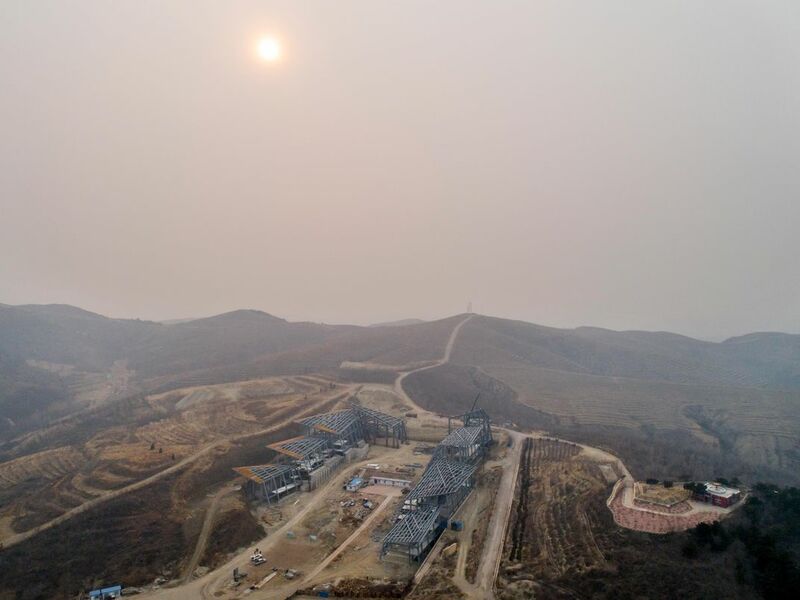 Now, I have so some questions: why on earth are they building a museum of such grandiose proportions in the middle of nowhere? Is this the Chinese version of the “bridge to nowhere” in Alaska? Why doesn’t the state take funding from the large museums and provide that to excavationists with the proper training so that this precious history isn’t destroyed? Who has a say in this? I understand how the fossils ended up in this area, but why exactly are there SOOO many in this one spot? I come from New Mexico and we have A LOT of dinosaur remains in this state, but nothing like how you explained (unless I’m wrong). Why is there no way to determine whether individual specimens lived side by side or millions of years apart? Doesn’t carbon dating have a role in finding the answer to this? I am not a scientist, so I may be asking ignorant questions, but I hope to hear from you because you have me absolutely at the edge of my seat in anticipation to hear from you regarding this! A lot of people don’t think about the fact that much of China is sparsely populated. Surely, we will continue to make these important discoveries. I don’t think sparse population is the issue here. There are so many farmers digging so many excavation sites that the line of tailings is actually visible from outer space. That may be why the area has produced such fabulous fossils: Sheer human effort, with many lives lost to cave-ins in the process.